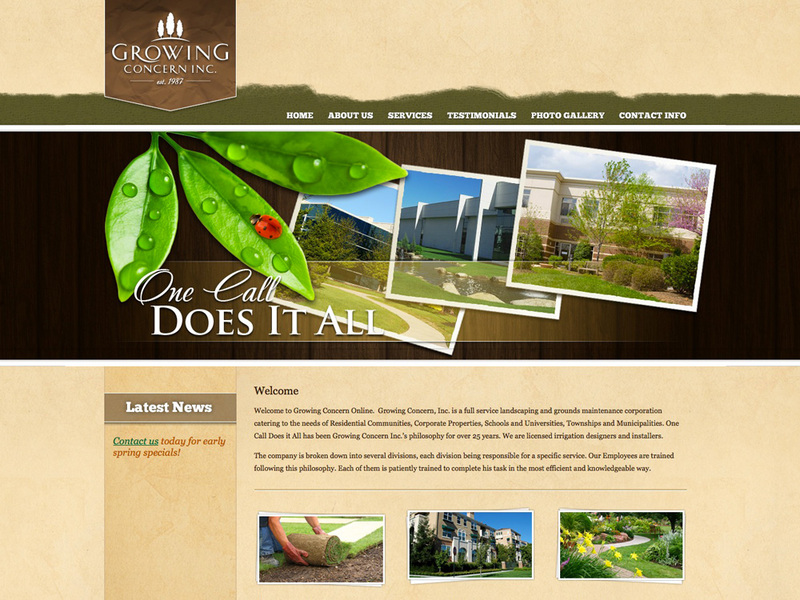 To create a earthy and engaging website design for this large commercial landscaping firm in NJ. The primary focus of the website was to highlight the capabilities and service offerings of the company. With a gorgeous textured layout including antique paper, wood elements, soil and grass, this visual design is right on target. The photo gallery and news sections are easy for the client to manage through backend tools we set up for them. This website was the winner of an American Graphic Design Award, a W3 Award and a Davey Award!